Be the first to hear about their new releases and deals. Download the Booksprout app and search for Heather Rayne today! 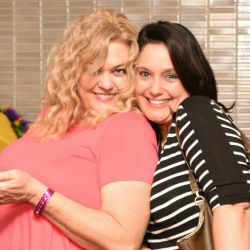 Two crazy, overly caffeinated, under-intoxicated flovers (Heather Guimond and Daryn Rayne) who enjoy fine vodka and wine. Taking the literary world by storm one word at a time.